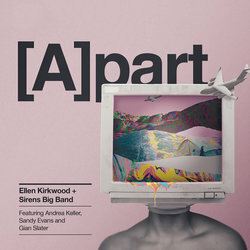 Trumpeter and composer Ellen Kirkwood is rapidly gaining recognition for her daring and imaginative works, combining jazz with diverse styles from around the world. She was a 2017 finalist in the Freedman Jazz Fellowships, and won the Jann Rutherford Memorial Award in 2012. A dynamic super-collective bringing new sounds to the traditional big band setting, Sirens Big Band are passionate about increasing gender diversity in jazz through their predominantly female and trans line-up. Our lives are becoming increasingly influenced by the internet. In many ways it’s wondrous; information at our fingertips, news and entertainment from around the world, instant communication with people who are far away. Simultaneously it’s like a cancer that works its way into our psyches. Addictions form, political rifts widen, personal information is sold and our attention becomes a commodity.